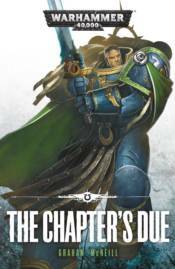 Having defeated the forces of the tau on the planet of Pavonis, Captain Uriel Ventris returns to Macragge. But war is unending in the life of a Space Marine, and Ventris finds himself thrust back into battle against the nemesis of the Ultramarines - the Iron Warriors, led by renegade Warsmith Honsou. Will Ventris be able to overcome his greatest test to emerge victorious, or will the Ultramarines suffer a disastrous defeat from which they might not recover?